UK annuity rates are likely to fall as the 15-year gilt yields reduce by 8 basis points following the Bank of England downgrade of growth prospects and holding interest rates. Governor Mark Carney of the Bank of England said interest rates are to remain at 0.25% and the Bank has downgraded the UK growth forecast by 0.2% down from the previous 1.9% to 1.7% for 2017 and 2018. The Monetary Policy Committee (MPC) expects inflation to rise to about 3% in the next few months due to the fall in sterling increasing prices for consumers. 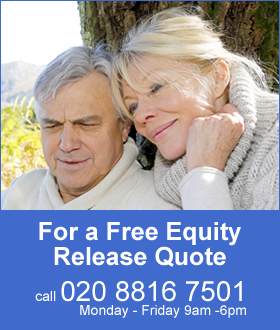 Investors are seeking safe havens of bonds and gilts with yields falling by 8 basis points to 1.51% pressuring UK annuity rates. As annuities are mainly based on the 15-year gilt yields an 8 basis point fall would likely see a 0.8% fall in rates from the providers. The pound has also reduced by 0.8% against the dollar although the FTSE-100 index increased 64 points to 7,474. During July the 15-year gilt yields reached a high of 1.68% following signals from the European Central Bank (ECB) that cheap money from the €1.1 trillion quantitative easing programme was coming to an end. Yields reduced to 1.59% towards the end of the month after the US Federal Reserve delays increasing interest rates due to weaker than expected inflation. In addition investors have doubts over President Donald Trump’s pro-growth policy agenda with funds moving to bonds and gilts sending yields lower. The above table shows 15-year gilt yields are lower by 3 basis points and for our benchmark example of a 65 year old buying a single life, level annuity with a fund of £100,000 the income has decreased from £5,433 pa at the end of June to £5,370 pa at the end of July. In terms of lifetime income, the Office of National Statistics (ONS) would expect a male to live for 17.3 years and he will have £1,089 less over his lifetime. For a female she can expected to live for 20.4 years decreasing her lifetime income by £1,285. Now with gilt yields reducing further to 1.51% annuities are likely to fall further in August. 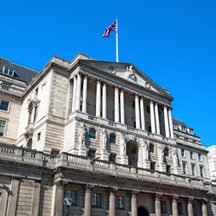 The MPC voted 6-2 in favour of keeping interest rates and quantitative easing unchanged but signaled that they were likely to rise within a year. All members agreed that any increases in the base rate would be expected to be at a gradual pace and to a limited extent. Governor Mark Carney said tightening of monetary policy would be necessary in the next three years and two or more increases in interest rates were likely. Bank of England has an inflation target of 2% set by the government and the MPC expects inflation to reach 3% by October 2017 before reducing to 2.2% by 2020. This increase in inflation would usually result in a rise in base rates followed by a rise in gilt yields and annuity rates. However, the Bank must take account of the wider economy which is set to slowdown following Brexit and the recent rise in inflation is temporary. UK annuity rates will continue to be influenced by decisions made by the Federal Reserve, European Central Bank and Bank of England and are likely to decrease in the short term by no more than 1.0%.